QUEENSLAND leaders have smacked down comments that Australia's legal blood-alcohol level of 0.05 per cent is too low, claiming the out-of-touch idea is offensive to families who have lost loved ones to drink-driving. 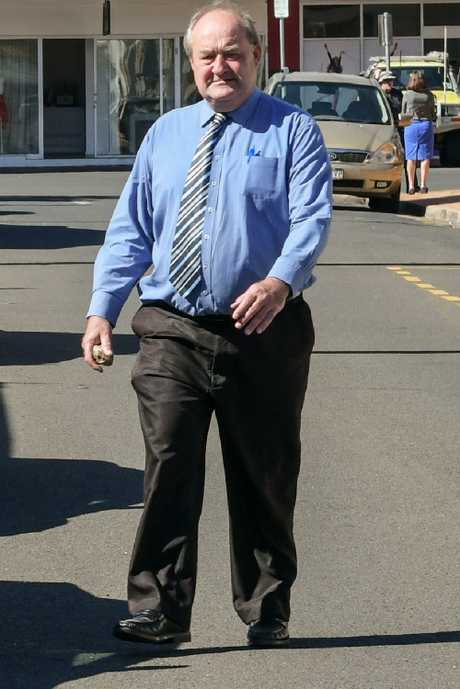 Bundaberg magistrate Neil Lavaring has come under fire for claiming "sometimes I wonder if the limit's a bit low" when addressing a Victorian man, ­Michael Richard Donne, who recorded 0.062 per cent. However Mr Lavaring has since been slammed for "thinking out loud". Transport Minister Mark Bailey said he strongly disagreed with the magistrate's comments. "I think the comments were out of touch - we are not changing it, that's for sure," he said. "0.05 is a reasonable level, the difference between 0.05 and 0.08 causes crashes, causes injuries and causes in some cases fatalities." An online poll by The Courier-Mail, which garnered almost 1000 votes, found 62 per cent of punters believed 0.05 was too low. However when reporters visited the Jubilee Hotel in Fortitude Valley, Kylie Leach of Redcliffe said we should be lowering it back to zero. Should the legal blood alcohol limit be raised? This poll ended on 22 August 2018. RACQ head of technical and safety policy Steve Spalding said it was easy for "those types of comments" to be upsetting to people who had lost family members. "What worries us is that when you get comments that are not backed up by ­evidence, that are opinions, that might be said off the cuff, it often leads to a discussion that can be unhelpful," he said. "Our view is the current BAC is at the correct level - that's backed by evidence and research. "Australia has been at the forefront of drink-driver education and enforcement, we don't want to step back from that," Mr Spalding said. In the 12 months to June 2018, 1222 people died on the nation's roads, according to the federal Bureau of Infrastructure, Transport and Regional Economics. Premier Annastacia Palaszczuk and Opposition Leader Deb Frecklington both said they did not support a change to the laws. Fortitude Valley Safe Night Precinct secretary Simon Turner said it seemed Magistrate Lavaring was "thinking out loud". Mr Turner said Magistrate Lavaring should think about the families who'd fallen victim to accidents caused by drink driving. "It sounds like he's bored, I don't think his contemplation is helpful," he said. The Office of the Chief Magistrate declined to comment yesterday.